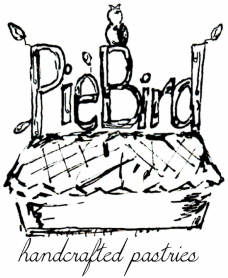 Pie Bird is a cottage baking operation located in the heart of Denver, Colorado. We offer up handmade pies and desserts, created with the best ingredients we can get our hands on. All baked goods are made to order and can be either picked up​or delivered right to your door. We take private orders for weddings,parties, family dinners, etc. Try us out and taste the goodness of our hand-crafted pastries!